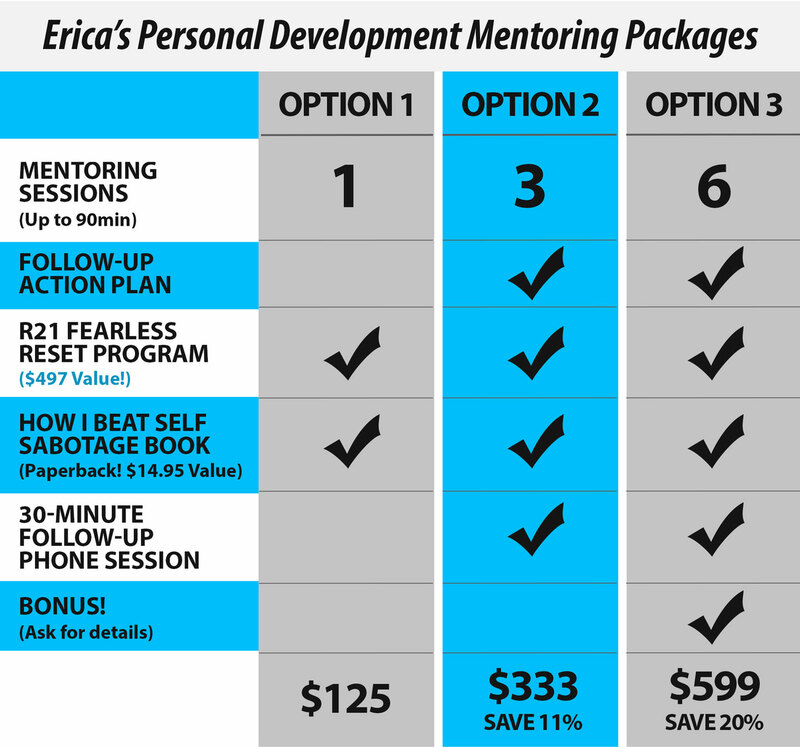 With the purchase of any package below you will receive Erica's exclusive 21-day Fearless Life Reset Program, AND here highly acclaimed book - How I Beat Self Sabotage and How You Can Too - absolutely free! Once you've decided which option works best for you, click any of the secure payment buttons at the bottom of this page to complete your purchase. You will receive the entire Fearless Reset Program in your email right away, and you can pick up your free copy of Erica's book at your first session. Erica will call you directly to schedule. If you'd like to customize a package specific to your needs, no problem! Reach out to Erica directly and she will be happy to help.